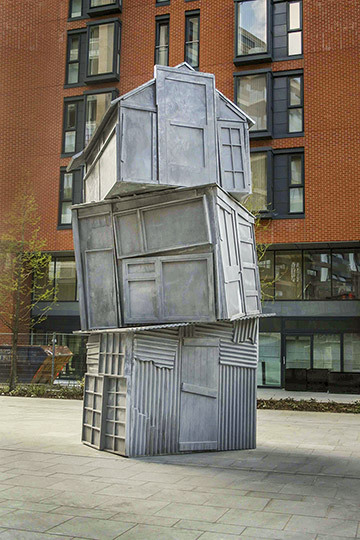 This permanent sculpture is an abstraction based on the improvised architecture of the sheds commonly found on British allotments. 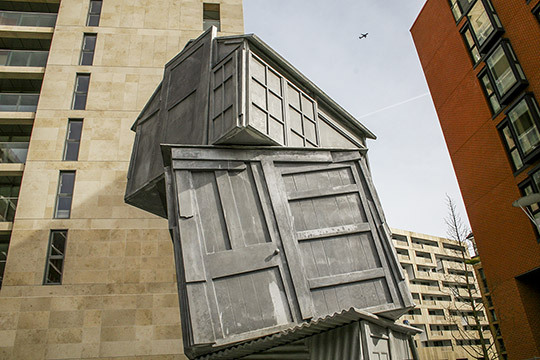 Such sheds are often put together with little regard to the original function of the individual components. The way in which these architectural details are reused for new purposes can be see as a metaphor for how the urban fabric such as the Grosvenor Dock – also goes through cycles of use, redundancy and renewal. 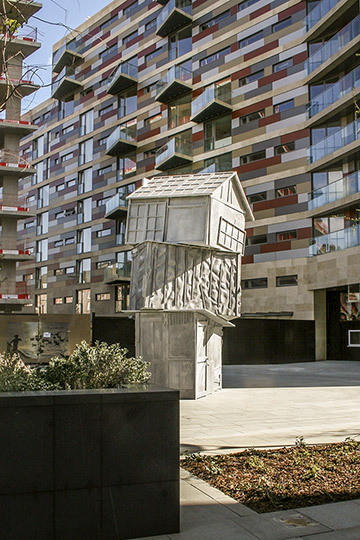 Cast in Aluminium, however, the temporary nature of this form of architecture is inverted. 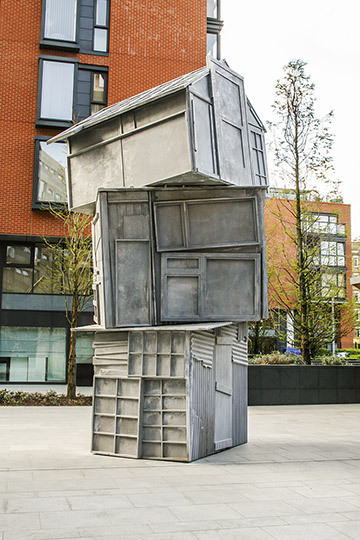 Physically and visually the sculptures become an embodiment of weight – the impermanent rendered monumental.